Genea-Musings: CVGS Fall Seminar is Saturday, 7 November 2015: "Over the Pond"
CVGS Fall Seminar is Saturday, 7 November 2015: "Over the Pond"
The Chula Vista Genealogical Society (CVGS) Fall Seminar will be on Saturday, 7 November at the Bonita Golf Course (5540 Sweetwater Road in Bonita) from 9 a.m. to 3 p.m.. The seminar includes a catered lunch, door prizes, and genealogy, etc. * High Road or Low Road - How and Why the Scots Migrated – This talk is basically a "big picture" history of the Scots and why they left Scotland starting in the 13th century through 19th and 20th centuries. They migrated all around the world and this talk will present how and why they landed in fifteen or more countries by country. * Using Ancestral Religious Migratory Patterns to find Church Records to Further Your Research – This presentation covers the major Christian Religions in the early years, their history, where the majority migrated to in America and why. It recommends steps to locating potential churches based on these patterns. Judith Brooks is a retired registered nurse and quality management professional. In the fifteen years since retirement, she has done extensive research on her husband's and her families. She thoroughly researches to prove or disprove other researchers input and likes to focus on locating and reporting the history of the area in which these ancestors lived including society memberships as well as local stories. Her focus has been the colonial era, revolutionary war and the early settlement of the Ohio River Valley, as well as finding how and when these ancestors crossed the ocean. Judith is a long time researcher and member of the APG. * Italian Research, Traditions, and Customs – Call it culture, call it tradition. How much do you really know about your family? This lecture will assist you in finding the resources to complete a genealogy report on your Italian family. * Marriage and Inheritance Customs in Germany--Archive Records – The value of heritage and inheritance was very strong, marriage contracts were negotiated, and were usually based on Partible Inheritance --This will be discussed in depth. 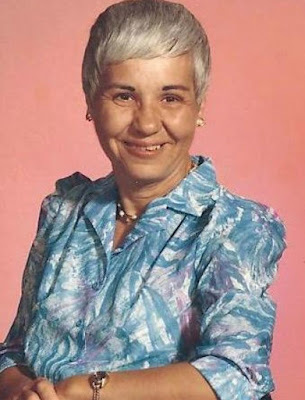 Toni Perrone is a founding member of the Immigrant Genealogical Society, the Immigrant Library in Los Angeles, CA, and the Temecula Valley Genealogical Society. She is the present day Chair of the German Interest Group in Temecula. Toni serves as President of the Pommern Interest Group at the Immigrant Library and on the Board of Directors of the Immigrant Genealogical Society. She volunteers at the Family History Center in Murrieta and has for many years. 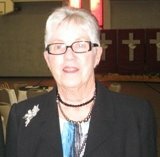 She has been a speaker to various genealogical societies since 1981. Toni has a background of 34 years of research in German and Italian ancestry, has received numerous awards from genealogical groups, has published articles in genealogical publications, two books on family lines and is currently working on a third. The fee for the seminar for CVGS Members is $45, and for nonmembers is $50; this includes a catered lunch and door prizes. Note that this is the main fundraising event for the CVGS Scholarship program (usually one $500 grant to a high school senior). Please register for this event on the CVGS website – https://chulavistagenealogysociety.wildapricot.org/event-1814401. Contact CVGS Education Chair Susi Pentico (susicp@cox.net) or CVGS President Virginia Taylor (irishdoll@cox.net) for more information.